SPORAH TV: A CHANCE TO WIN A PLASMA TV OR BLACKBERRY SMARTPHONE..! A CHANCE TO WIN A PLASMA TV OR BLACKBERRY SMARTPHONE..! Sporah welcoming Mr. Mark Perryman the Senior Regional Director UK, Ireland, and the Nordics from MoneyGram International on the Sporah Show. And Mr. Oluwaseyi M. Oke the Marketing Executive - Africa, UK, Ireland & The Nordics. MR Mark Perryman and MR Oluwaseyi M. Oke ready to talk Money Transfer with Sporah. Sporah: Mr. Mark how did you manage to sustain this transfer business over the years and still standing tall over others? Mr. Oke, I understand your the Marketing Executive - Africa, UK, etc what time does it take for one to receive money say Africa? Sporah thanks for the invitation and exactly thus my role, back to your question, it takes only ten minutes to receive money worldwide if sent by MoneyGram, just ten minutes Sporah. And the best comes last, for this Christmas MoneyGram is giving away lots of gifts like the letest mobile phones and Plasma TVs to its customers who are sending money this festive seoson, all you do is send money and then Visit www.moneyGram.co.uk/Christmas to enter. And the joke around this Christmas is DON'T SEND CLOTHS most times are too big or too small and one can't share, but MONEY FITS ALL, Christmas is about sharing so use MONEYGRAM. Thanks Sporah, it has been another door open for MONEYGRAM and SPORAH SHOW, Viewers and customers am shaking on it, SHARE THE MAGIC OF CHRISTMAS. Mr. Oke, can you shake on it too? MoneyGram gives you the chance to win big prizes when you share the magic of Christmas this festive season. SHARE THE MAGIC OF CHRSTMAS is the theme for MONEYGRAM this season and all that you could win are all her. Answer the question to win this beautiful MoneyGram 2012 Calender on The Sporah Show this Monday at 10:30pm SKY 184 BEN TV. Thank you so much Mr Mark for being on The Sporah Show. Then it was time for a small laughter. Not in my pocket Sporah. So it has to be Post Office...., Thomas Cook and anywhere with MoneyGram Sign. So people Should just visit www.moneygram.co.uk/christimas to win? Share The Magic Of Christimas With MoneyGram Money Transfer. Cash is set to be a popular choice for people in Britain giving presents to family and friends overseas this Christmas. For a chance to win a Plasma TV or a BlackBerry® Smartphone..! It's never too late to realise one's dream. Having left Uganda for Sweden aged 20, Linda Mirembe went on to study Media Technology. She has worked in a hotel, as a receptionist, web designer and IT assistant and Field Engineer before starting Weddings Uganda (with her sister Cynthia Nakayenga). The single mother of three will mother of three will be realising her childhood dream when she showcases her hat creations at The Young Designer Awards at Novotel, St Pancras, London. It began with her adding haberdashery to her own hats. And before her friends and family knew it, she was making them wear her own hand-made tiaras. Linda's extraordinary rise in the millinery fashion industry may have been a struggle, but it is definitely starting to pay off. Linda has become synonymous with modern sophistication, elegant design and impeccable detailing of hats. Her fashion break-through came when she was out of work and decided to really turn her hobby into a profession. Do you have a wedding or a friend is having one? Click Here. You also try this one Sporah. Am loving it.. Tell me people...! It realy suits you Sporah like braid Maid..! Booking you. I would like to congratulated you on the great work you do on the Sporah Show. a platform to showcase their work on your show. AND THEN TEJU CHOSEN OF CREATIVE TONGUES. Thank you so much Sporah .Teju is an inspirational, dynamic International Spoken Word Artist and Playwright with a calling to speak the truth, provoke thought and inspire. I recently performed in self-written one woman comedy and poetry show at the Shaw Theatre, entitled, "Choices and Voices". The theme is one that we all need to pay attention to as we tread carefully in search of our destiny. My poetry anthology, “Straight Talking”, will be available in bookstores and on for pay per download soon. I performs at churches, schools, weddings, poetry events, prisons and all kinds of venues. Thank you so much for having me Sporah. Hope to have you again. TOP MODEL OF COLOUR SEASON 6 FINALIST..! Sporah Meets Top Model Of Colour Season 6 Finalist. Top Model of Colour (TMC) is a modelling competition, which is now in its 6th year and is open to models from across the world, whom are of African, Caribbean, Hispanic, Oriental, African, Asian & Dual heritage ethnicity. Top Model of Colour competition is providing models with exposure to the modelling industry. Its all about modeling here Sporah get your self into the boat. Top Model of Colour is the only competition of its kind in the UK, Europe & Africa and it receives thousands of applications each year from hopefuls vying to be Top Model of Colour in their respective countries. Top Model of Colour is not a beauty pageant but a modelling competition and to ensure that the competition is seen that way the format is structured in such a way that it is clear that it is not a beauty pageant. Well done Mr Sola Oyebade. With my MIC. Yes i can pose with it. THEN IT WAS TIME FOR INDIVIDUAL PICTURES..! Beautiful. Shiikane is the name of music’s new female group, consisting of twins Shay Shay, Princess Annamay and sister Baby-Kay who are of Nigerian heritage and hail from South East London. Super Group! Super Hero's!! Super Everythang!!! Performing LIVE on The Sporah Show This Coming Monday at 10:30pm On BEN TV SKY 184. What are you doing Girls? Ladies of many talents, they write, arrange and co-produce their own songs. This is central to their work, the only words to describe Shiikane’s sound are “Just Listen and Enjoy” In early 2009 Shiikane released their first promo album “Shiikane Touched This!” to critical acclaim. And this is how we do Sporah.. In late 2009 the band released their debut single “Bamboo Dey Chop”. Director Taj Washington shot the video for the single in Los Angeles. 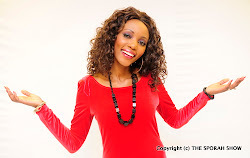 The single was produced by Ziro from Atlanta Geogia and featured remixes by DJ Nikki of Beatnikk Productions and Tilla Man of Puyanga fame. In 2010 SHiikane did a national school tour in the UK, which also included acts such as Bashy and Tribal Man. The band also became ambassadors for the Charity Crusaid/Terrance Higgins Trust and performed at the annual Race For Life Festival in front of 10,000 people. 2011 The Moon runners shot the video which will be available soon. 2011 is set to be an exciting year for the band with plenty more surprises in store. Shiikane, Sporah and Top model of colour. 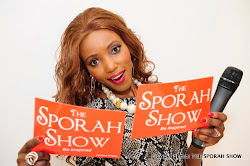 Thank you all for being on THE SPORAH SHOW. PLEASE STAY TUNE THIS MONDAY AT 10:30PM ON BEN TV-SKY 184.. The ultimate in time efficient Christmas shopping, MoneyGram allows people in Britain to send cash to more than 155 countries and it can be with the recipient in just 10 minutes. OOh I LOVE THE SPORAH SHOW.! i am buying a few things off a guy and he would like me to pay via western union, ive never used it before and checked there website but is it safe? has anyone ever used money gram before. Very safe! And I use Money Gram before! Western Union is safe, as long as you know the person to whom you are sending money, if you were to go into one of the shops where they deal with western union customers face to face, they always have posters up warning you not to use the service to pay for products / services that you have not yet received. You only need the guys name to send the money, he can quite easily collect it, and disappear without a trace.....leaving you out of pocket and seriously cheesed off. If i were you, I'd try to sort out payment by Pay pal or Cheque, at least that way, you and your bank can keep track of him if he is up to no good. Good Luck, be careful. I use Western Union every month. Recently switched from using Xoom to using MoneyGram. I like MoneyGram much better. So far, MoneyGram service has been good and fast, and the fee and exchange rate is good. I like Shiikane, saw them at BEFFTA's, THEY SING WELL. Fast, and efficient all in all only 10 minutes to wire over and collect. All I can say is recipients does not have to pay any commission in Singapore and get exactly what the Post Office here in the UK has stated. Perhaps people in Singapore are honest and that is the majority I have experienced. sporah naona mambo safi MONEYGRAM.! shiikane the next destiny's child, i will be watching them on Monday. Can i use MoneyGram as mean of payment? I've been using MoneyGram to send money to Uganda but never use it as a mean of payment. I want to win that plasma TV lol! Which one do YOU use @Sporah? I will say yes it is safe otherwise with our African People..! TOP MODEL OF COLOUR: Land of the Beautiful Africans Women. WHAT DO YOU MEAN WITH OUR AFRICAN PEOPLE?????????????????????????????????? Its so true our people back home have problem sometimes, I have used MoneyGram many times and prefer it over Western Union. I have never had a problem with a transfer. BUT THE PROBLEM IS INTO OUR SYSTM IN AFRC. 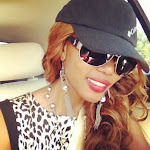 Hey miss sporah plz check ur inbox... so important!...xoxo. Dada sporah mbona hutuwekeagi picha ukiwa outing, dinner, party, au just out and about?? AU ATA OUTING NA UMPENDAE BASI, ACHA KUWA MSIRI SANA WE MCHAGA. Samsung realizes that know individuals need the best immersive encounter in the home. Huge numbers of the organization's 2011 items have Wi-Fi implicit and can unite remotely to various sorts of apparatuses incorporating Polaroids, advanced mobile phones, and wall tv installation Pcs along these lines significantly more.